Posted By:Unknown | At:1:29 PM Be the first to comment! The black CNN camerawoman who was at the epicenter of the incident in which two attendees at the Republican National Convention threw peanuts at her while saying, "This is how we feed the animals," has finally spoken out about the incident. Under the condition of anonymity, the camerawoman spoke to the Washington Post about the incident. She and CNN are not talking to media. However, she agreed to talk to her friend and I promised to honor her request that I not name her. She was assigned to film from the floor of the convention in the recessed camera area. 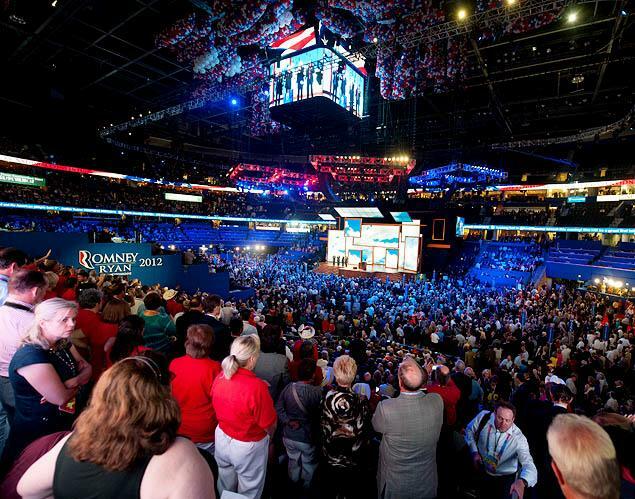 This is right among the thousands of delegates who converge on the forum floor to listen to their Republican leaders, nominate Mitt Romney as their candidate for president and, apparently, throw things at people darker than they are. My friend continued, “It was like they were heckling me.” It became clear to her these people were enjoying her torment. Two African-American cameramen and a female Caucasian reporter came over to investigate the fracas, but none had clearly heard what the men said. CNN security arrived by coincidence and set off after them.